On the evening of 24 September 1940, the Church received a direct hit from a bomb during the height of the London Blitz. Although St. Anne's Church Tower, which dates from 1803, remained intact, the body of the Church was severely damaged. 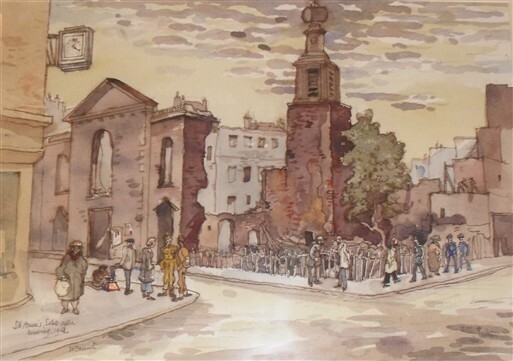 Two weeks later (7 October), incendiary bombs fell on the Church and the remaining structure was completely burnt out. Further damage in and around St Anne's was caused in night raids on 10-11 May 1941 and 24 February 1944. 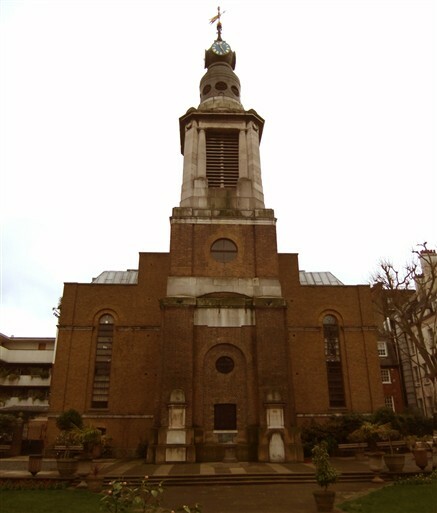 Parts of its churchyard around the tower and western end now form the public park of St. Anne's Gardens. The Church was rededicated in 1990 and, although the pre-war building is barely visible, remains an important part of the Soho community. For more details on the damage sustained by St Anne's during the Blitz see Bomb Incidents page.